Journey and four other rock bands will be on the fan's ballot for induction into the Rock and Roll Hall of Fame. Read More about this great achievement! Journey and Asia will hit the road together in 2017. The bands have announced a run of shared shows that's scheduled to begin March 15 in Yakima, Wash., and continue through April 4, when they're booked to play the Nutter Center in Dayton, Ohio. The tour currently encompasses a dozen dates in all. "Asia is honored to be asked to share the stage with Journey," enthused Asia frontman John Wetton in a press release. Referencing his own cancer battle, which he's been waging during Asia's downtime following the tour in support of their 2014 Gravitas LP, he added, "On a personal note, this couldn't have come at a better time for me; I remain determined and my road to a full recovery continues. I look forward to seeing everyone on the tour next year." Prior to touring with Asia, Journey will tour in Asia: The band is booked to perform nine dates in the region next February, including shows in Japan, Singapore, Hong Kong, South Korea and Taiwan. They'll follow those shows with three stops in Hawaii before returning to the mainland for the Asia tour, after which they're committed to a May residency at the Joint in the Hard Rock Hotel and Casino in Las Vegas. "Don't Stop Believin', the classic Journey power ballad, has just become the first catalog track in history to achieve online digital sales of more than 2 million units, according to SoundScan. "Don't Stop Believin'" enjoyed a massive resurgence in popularity in June 2007 after serving as the soundtrack to the climactic final set-piece of HBO's hit mafia family television series, "The Sopranos." Download sales of the song on iTunes rocketed an incredible 482% for the period from Saturday, June 9th (the night before "The Sopranos" finale) through Tuesday, June 12th, of that year. As downloads of Journey's "Don't Stop Believin'" reached record numbers, demand for the band's CD catalog began accelerating and continue to this day. Following its original release in 1981, "Don't Stop Believin'," the second single from Journey's groundbreaking chart-topping "Escape" album, peaked at #8 on Billboard's Mainstream Rock chart and at #9 on the Pop Singles chart. Propelled by what the All Music Guide has called "one of the best opening keyboard riffs in rock," "Don't Stop Believin'" quickly established itself as one of Journey's signature songs while defining the possibilities of the classic rock power ballad. Like the rest of the Journey catalog, "Don't Stop Believin'" continues to connect with the hearts and lives of pop music lovers. 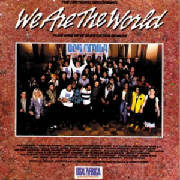 The song has been a perennial favorite with producers and directors of both movies and television. It was featured memorably in "Monster," starring Charlize Theron and made its way onto iTunes' "Top 10 Most Downloaded Singles" list in 2005 following same-week appearances on both Fox's "Family Guy" and MTV's "Laguna Beach." "Don't Stop Believin'" hit a grand slam in 2005 when it became the unofficial theme song for the Chicago White Sox, World Series Champions. Journey frontman Steve Perry performed the song at the World Series Championship celebration in Chicago. Published by MTV News on Sunday, February 1, 2009 at 6:37 pm. Just in case you’re wondering, that was not Steve Perry singing “Don’t Stop Believin’ ” with Journey during the Super Bowl pregame, nor was it a Journey tribute band. It was, indeed, Journey, with new singer Arnel Pineda, who joined the band in 2007 after being spotted by them singing Journey songs on YouTube. Of course, “Don’t Stop Believin’ “ gained a whole new life after being played in the last scene of “The Sopranos” finale in June of 2007. MTV News tracked down Perry himself, who revealed that he actually insisted on knowing the end of the show before granting permission for it to be used. “I was not excited about [the possibility of] the Soprano family being whacked to ‘Don’t Stop Believin’,” Perry told MTV News after the show had aired. “I told them, ‘Unless I know what happens — and I will swear to secrecy — I can’t in good conscience feel good about its use.’” The show’s producers made Perry promise to keep it under his lid, which he did, and then they spilled the beans on how the song was used and how the show ends, after which Perry signed off. American rock sensation JOURNEY will help kick off Super Bowl XLIII as part of the pregame festivities adjacent to Raymond James Stadium during the Super Bowl XLIII celebration in Tampa Bay on Sunday, February 1 at 5:30 p.m. EST. JOHN LEGEND will also appear. More than 148 million viewers in the U.S. watched last year’s Super Bowl, the most-watched television program in history. The pregame show and Super Bowl XLIII will be broadcast worldwide to more than 230 countries and territories. JOURNEY-Neal Schon (guitar), Jonathan Cain (keyboards), Ross Valory (bass), Deen Castronovo (drums) and Arnel Pineda (vocals) - earned Platinum honors in 2008 for Revelation, marking their 11th Platinum album certification to date. For more information on Journey, visit www.journeymusic.com. Journey is nominated for Album of the Year for Revelation!! San Francisco—ZVUE Corporation (NASDAQ: ZVUE), a global digital entertainment company, today announced that ZVUE will be selling an exclusive MP3 Player pre-loaded with all 22 tracks from the new Journey double-CD, “Revelation”. The Journey-branded player will be available exclusively in 3,600 Wal-Mart stores nationwide beginning July 22. The product retails for $39.88 and will be presented in gift-box packaging, designed to feature Journey with their new lead singer Arnel Pineda. Each disc of the double-CD will feature 11 tracks; one will feature brand new material from the band while the other will feature re-recorded classic Journey hits. The Journey-branded MP3 player comes with high-quality ZVUE Sound Headphones, 3 ft. USB Cable and 1 GB of built-in memory, which will allow customers to augment the Journey music with several hundred additional tracks of their choosing. Pictures of Journey with Jimmy Page & Chris Squire at the london gig. Picture of Ross and Joe Elliott at Arrowfest in Holland. June 12, 2008 -- JOURNEY is featured in the June 23rd issue of People Magazine. Here is a link to People and a video clip of Journey. 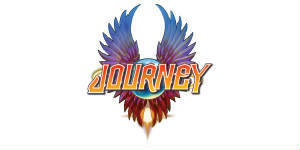 June 10, 2008 -- JOURNEY’s new three-disc CD/DVD package REVELATION has sold more than 104,000 copies in its debut week according to Wal-Mart Stores, marking the band’s biggest first week’s sales since 1996’s TRIAL BY FIRE. Released June 3, REVELATION is being sold exclusively at Wal-Mart and Sam’s Club in North America, Walmart.com and Samsclub.com, and Journey’s official website, Journeymusic.com. REVELATION’s first week’s sales marks a 1400% increase over the band’s 2005’s first week’s sales of GENERATIONS. The first disc consists of 11 new songs, the second is filled with 11 re-recorded classics, and the third is a live, in-concert DVD. All of the music on REVELATION was produced by Kevin Shirley (who previously worked with JOURNEY on their Platinum-certified TRIAL BY FIRE album). JOURNEY--Neal Schon (guitar), Jonathan Cain (keyboards), Ross Valory (bass), Deen Castronovo (drums) and Arnel Pineda (vocals)—is currently on a European tour through June 28. They’ll start a massive summer U.S. tour with special guests Heart and Cheap Trick on July 9 in Denver, CO.
March 11, 2008 -- A new chapter in the legendary career of multi-Platinum rockers JOURNEY--Neal Schon (guitar), Jonathan Cain (keyboards), Ross Valory (bass), Deen Castronovo (drums) and Arnel Pineda (vocals)—will begin on June 3 with the highly anticipated release of REVELATION, a three-disc CD and DVD package to be sold exclusively at Wal-Mart stores in North America. The first disc will consist of 11 re-recorded classics, the second is filled with 11 new songs, and the third is a live, in-concert DVD. All of the music on REVELATION was produced by Kevin Shirley (who previously worked with JOURNEY on their Platinum-certified TRIAL BY FIRE album). JOURNEY will take REVELATION on the U.S. concert trail later this July, with details to be announced in the coming weeks. December 5, 2007 -- After much speculation…the wait is finally over. 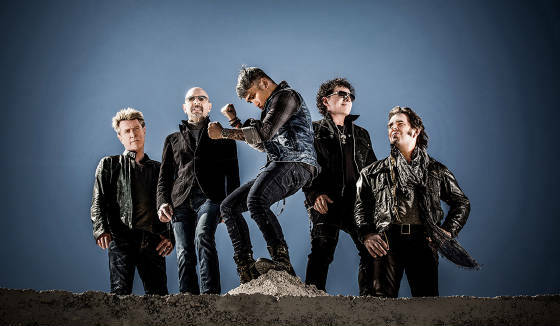 JOURNEY--Neal Schon (guitar), Jonathan Cain (keyboards), Ross Valory (bass), Deen Castronovo (drums)--is proud to introduce fans all over the world to their new lead singer, Arnel Pineda (“pin-eh-da”). He replaces Jeff Scott Soto, who parted ways with the band earlier this year after stepping in for Steve Augeri, who had to leave the band in 2006 for medical reasons. Arnel hails from Quezon City in the Philippines and has been singing Journey songs--in addition to original material--with his band, The Zoo, for the past couple of years in clubs all over his homeland. Joining the legendary band is a dream come true for him. When it was time for JOURNEY to look for a new lead singer, the internet came to their rescue. Guitarist Neal Schon wanted someone new to the music business, so he turned to YouTube. After finding Arnel singing “Faithfully,” he knew he had found the perfect frontman. JOURNEY is currently working on a new album with legendary producer Kevin Shirley, which they hope to release by spring/summer 2008. Staying with their tradition of being on the cutting edge, Journey has created an island paradise in the Virtual 3D world of Second Life. Journey fans can directly interact with other fans and experience all of the bands history through a 3D representation of their physical self called an Avatar. The Journey island in Second Life is like a Journey Theme Park. Here are just a few of the things that you can do. Learn about each Journey Album on a walk through time. Each album has it's own dedicated themed area featuring music, history and Art. Dance at the Escape club with your friends while listening to the Journey Juke box which features virtually every song recorded by Journey. Attend special events at the Escape club which include Live DJ's, contests, and tons of fun! Watch special Video Presentations at the Captured Amphitheatre. Watch Virtual Live perfomances by Second Life Artists. Hang out in a relaxed Island environment with your friends and fellow Journey fans where you can ride a motorcycle, race around the island on a Jetski, take a paddleboat out to explore, or just relax on one of the secluded atolls around the island. You can meet tons of new friends and fellow Journey Fans at the Journey island in Second Life! How to Access The Journey Island. 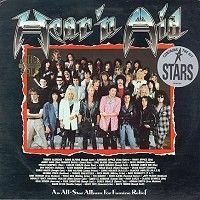 A song for charity from Neal Schon! 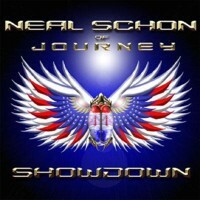 Neal Schon says, "This year I'm adding a song to the website entitled "Showdown", I wrote this song (a guitar instrumental) as a way of reflecting the feelings I believe so many Americans share right now. There will be a charge ($ 1.49) to download this song, however, the proceeds for this download will be donated to the San Francisco V.A. Medical Center, which benefits veterans from all wars." 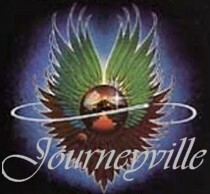 Journeyville hopes everyone will get the song! Click the link below for the song, 'Showdown'. 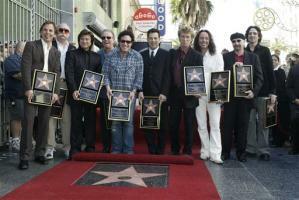 Members of the band, Journey, pose after receiving a star on the Hollywood Walk of Fame, Friday Jan. 21, 2005, in Los Angeles. 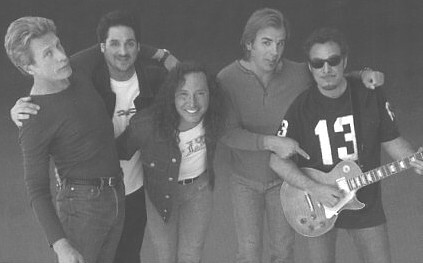 Band members are, from left, Jonathan Cain, George Tickner, former lead vocalist Steve Perry (news), Aynsley Dunbar, Neal Schon, Robert Fleischman, Ross Valory, Steve Augeri (news), Steve Smith and Deen Castronovo. Is there any truth to the new rumor that you and the band are getting back together this summer when Journey is on the road ? SP: No, there is NO truth to that rumor. As of May 8, 1998, I'm no longer legally a member of Journey. The band may be jamming this summer with "X" members, but I will not be one of them. This site and the opinions contained herein are in no way connected with any band member or official associate of the group Journey.